French educator and writer; died Nov. 12, 1868. 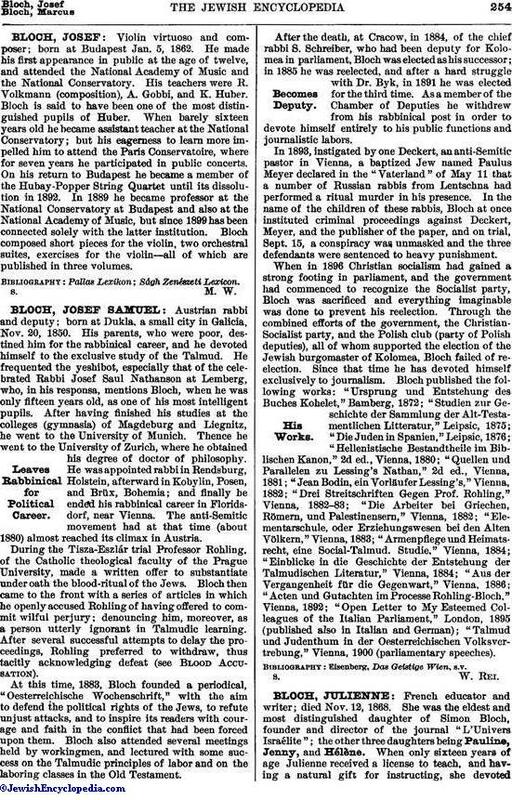 She was the eldest and most distinguished daughter of Simon Bloch, founder and director of the journal "L'Univers Israélite"; the other three daughters being Pauline, Jenny, and Hélène. When only sixteen years of age Julienne received a license to teach, and having a natural gift for instructing, she devotedherself to the education of her young coreligionists. For two years, when she was about twenty-five years of age, she directed the institution for young girls at Lyons, founded in 1857 by the Jewish community of that city. Afterward she taught in the establishment of her sister, Mme. Pereira, at Passy. Under the title "Lettres Parisiennes," Mlle. 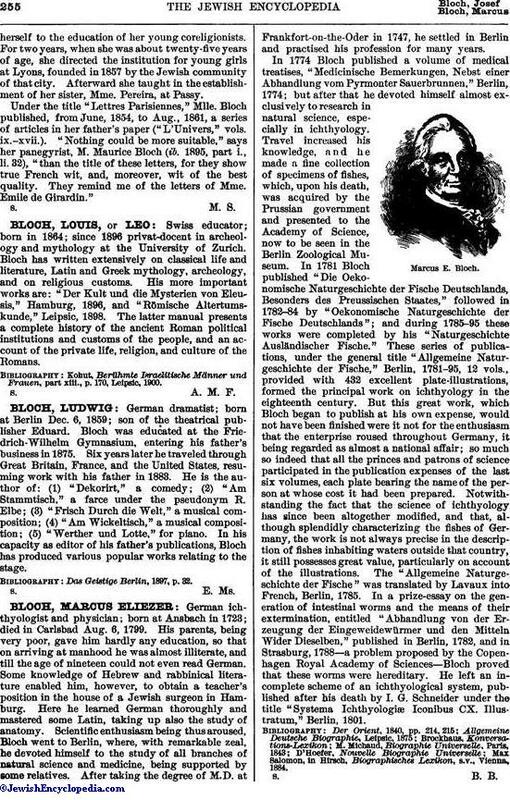 Bloch published, from June, 1854, to Aug., 1861, a series of articles in her father's paper ("L'Univers," vols. ix.-xvii.). "Nothing could be more suitable," says her panegyrist, M. Maurice Bloch (ib. 1895, part i., li. 32), "than the title of these letters, for they show true French wit, and, moreover, wit of the best quality. They remind me of the letters of Mme. Emile de Girardin."